Today’s ride passed at least 10 Cols (mountain passes) – I have photos of 9, missed one sign and got lost off road at a likely 11th. Fun! Day 2 in the Parc Naturel Régional du Vercors – and Doreen and I went our separate ways. Another big day for Doreen. Over 45 kms, 3 Cols, a fancy lunch, and a couple of museums. She didn’t miss me at all. Me? I went Col hunting. They are everywhere here. About 90 kms and 2000+ metres ascent, a couple of off-road stretches – and a strong desire to return to this beautiful region. I may count 2 or 3 Cols towards my 100 goal. It’s a bit subjective, as most weren’t that big (and yes I did DESCEND to Col de la Machine). But a pretty amazing day. 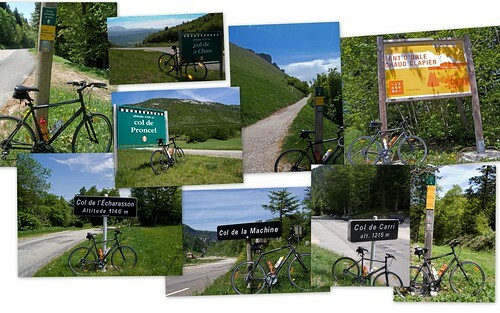 Here’s a Collage of the 9 Col signs from today (the Cols are labeled on the map above). 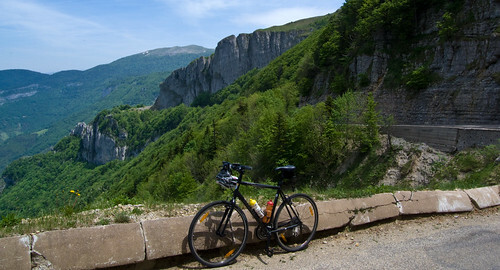 The highlight of the day was certainly the route towards Col de la Bataille (3 small climbs from the side I approached). The road runs along a cliff that does a semi circle around a huge gorge/valley. the views are impressive. In the spirit of the day (col hunting), I made a couple of off-road “detours” in search a a couple of extra Cols. 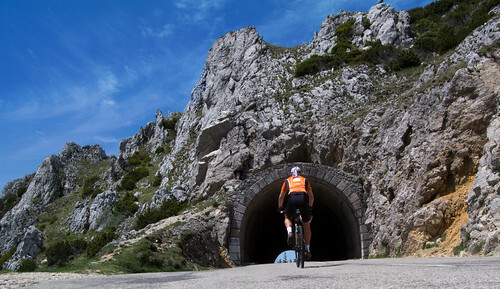 The detour to the high point of today’s ride (1475 metres) – Col de la Baume was superb. 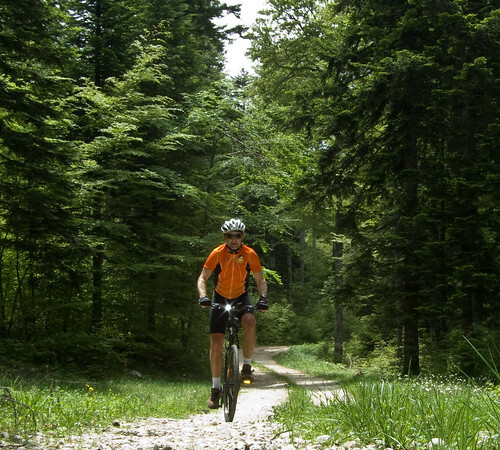 There is a huge network of signed mountain bike trails. I could spend a month here. The second detour to “Col de la I forget” was a minor disaster. I was hot, tired, out of water and got completely lost. I ended up carrying my bike down a forestry “semi-trail” for a couple of kms to get back to the paved road. All in all, a dream route. I know you are feeling strong… and want us to know that. But please, next time you put down your bike against the concrete barrier on the road towards Col de la Bataille, try to be a little more careful. Look what you did man?! Good this did not happen on la Barillette, because they would investigate your website and send the bill. More seriously, 10 cols, I think that is a record!